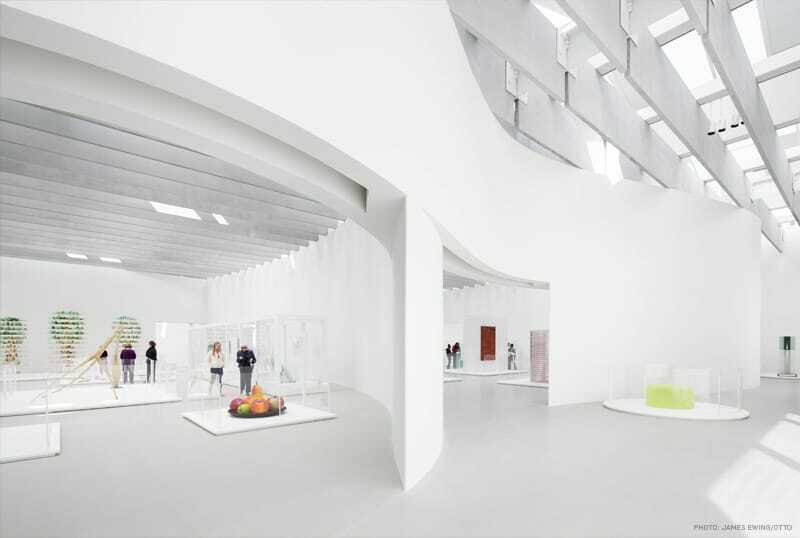 A new wing for the Corning Museum of Glass that features an ‘energy smart’ innovative design and takes glass to an entirely new level. 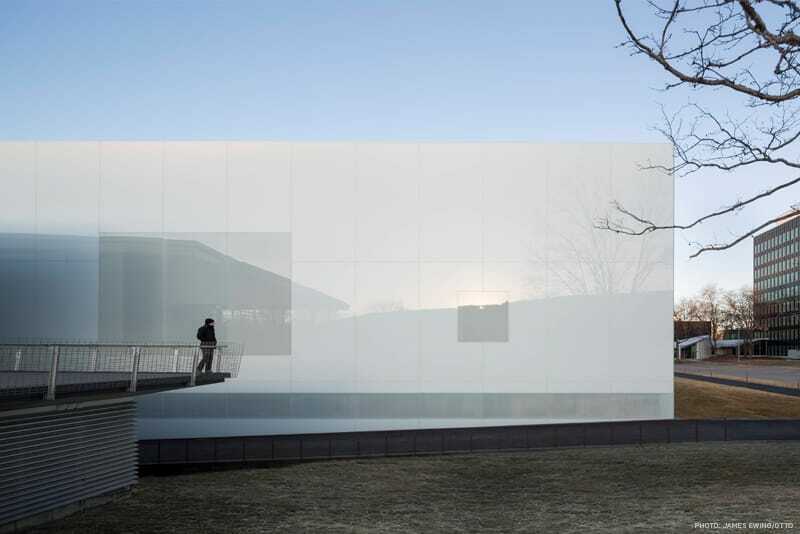 The Corning Museum of Glass North Wing Expansion provided additional space required to accommodate complex, large-scale installations of contemporary glass artwork, as well as the 440,000 annual visitors from around the world. The 100,000-square-foot Contemporary Art + Design Wing expansion, managed by the joint venture team Gilbane+Welliver, consisted of a new 26,000-square-foot gallery space and the retrofit of the adjacent Steuben Glass Factory Ventilator Building to house the Hot Shop Amphitheater, a venue for hot glass shows and live glass design sessions held by world-renowned artists. Additional museum spaces completed in the expansion included a new administration suite, conference room, mechanical room, public restrooms, and a large elevator, which was installed to simplify the process of moving larger pieces of artwork into the gallery. Thomas Phifer and Partners’ design vision culminated in a custom glass façade and skylight system with a mixture of transparent, semi-transparent, and opaque panels to welcome natural light and elevate the beauty of the museum’s exhibits. 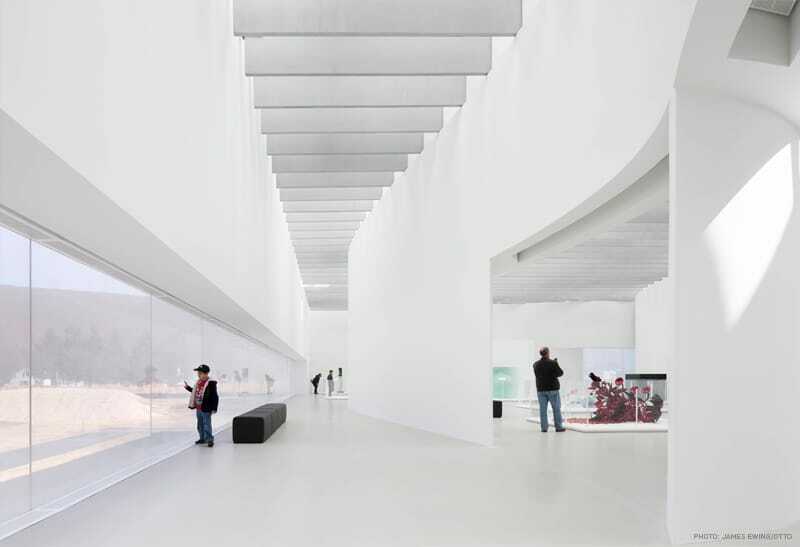 At its core, the new wing is supported by a unique serpentine wall system that defines the five mail gallery spaces. The iconic structure of the existing 64 year-old Ventilator Building was maintained by stripping it down to the steel frame, reinforcing, and recladding it with custom black metal panels. The space now houses 500 amphitheater-style seats and a mezzanine with 360-degree views of the glass making shows below. The world’s premier institution dedicated to glass created a variety of construction challenges due to the tight schedule, remote location, small footprint and complex design. A collaborative approach allowed Gilbane to deliver a high quality project within the tight three year timeframe and with no cost overrun. The slightest imperfection had potential to distract from the art, so every step was subject to scrutiny before precise execution occurred to ensure an unsurpassed level of quality. Throughout the project’s three-year duration, the museum remained fully operational. This was achieved through strict coordination, ongoing communication and leadership from the project team. 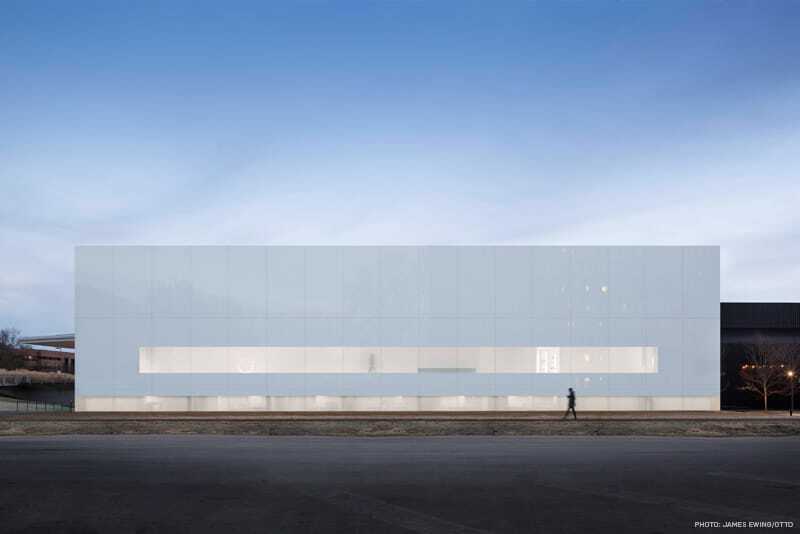 Upon the ribbon cutting in March 2015, the new wing became the world’s largest exhibition dedicated to the presentation of contemporary art in glass. Corning Museum of Glass won the Construction Management New award at the AGC Alliant Build America Awards, held in San Antonio in March, 2016.